These floats are made of 100% gum rubber for long wear on epoxy grout cleanup work. These floats are made of 100% gum rubber for long wear on epoxy grout cleanup work. 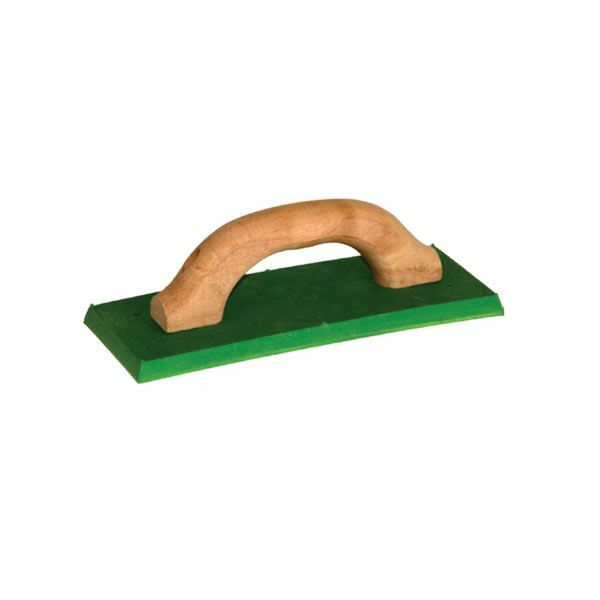 Can also be used with sanded grouts, and the rubber edges can be sanded to maintain their original sharpness. Both have a sanded hardwood handle and pads measure 4" wide x 10-1/2" long x 1/2" thick. This float has a hard gum rubber pad with the Mar-Less molded in aluminum backing plate.